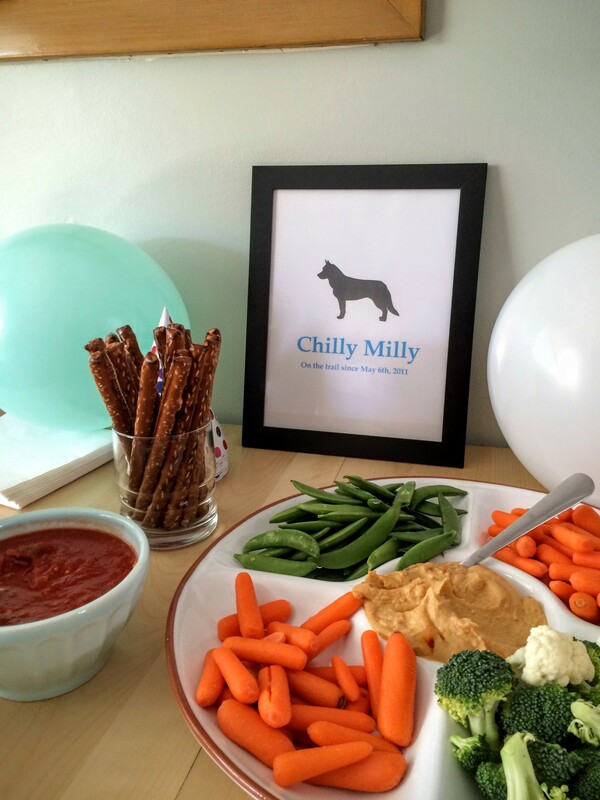 Snow Dog Birthday Party | whyallthefuss? 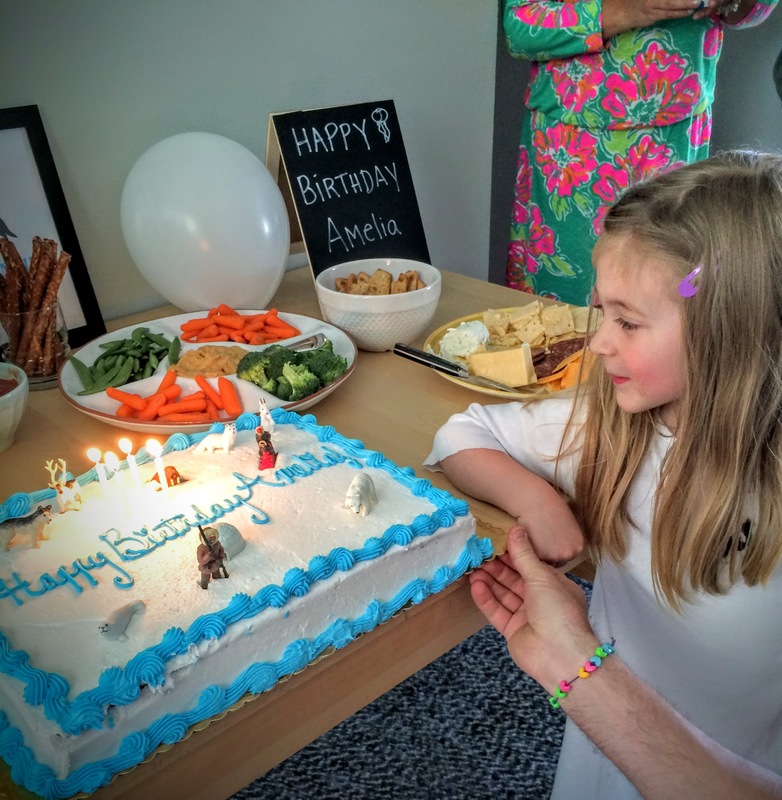 This is WAY late (like a couple of months late), but I have so many great memories of Amelia’s Snow Dog Birthday Party and I wanted to share it with you. 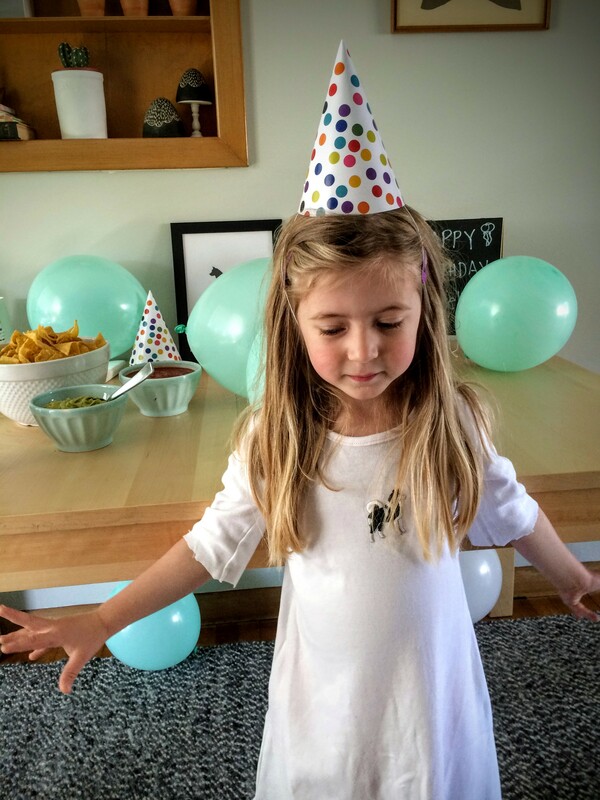 We would often bring up her birthday party months in advance and ask her, “What kind of party do you want to have?”. And every time, she answered “a snow dog birthday party”. 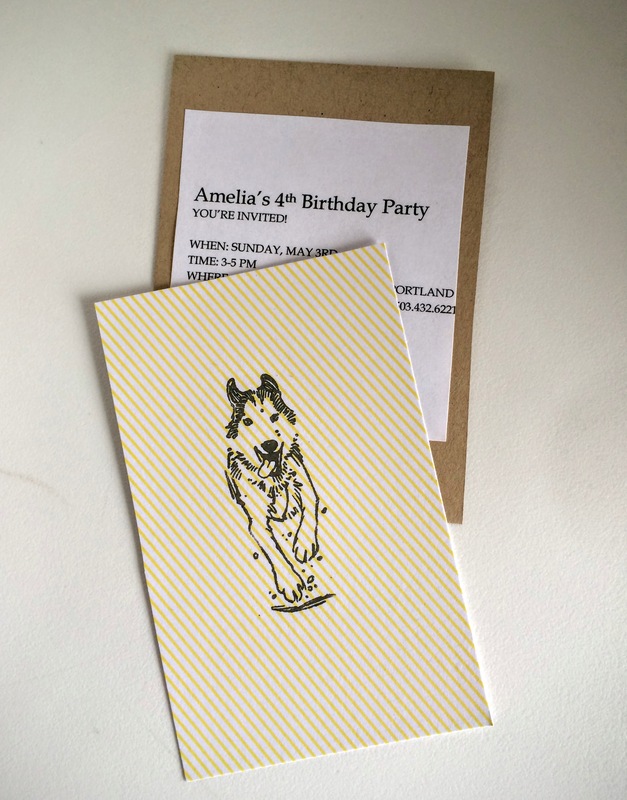 So, a snow dog birthday party it was. 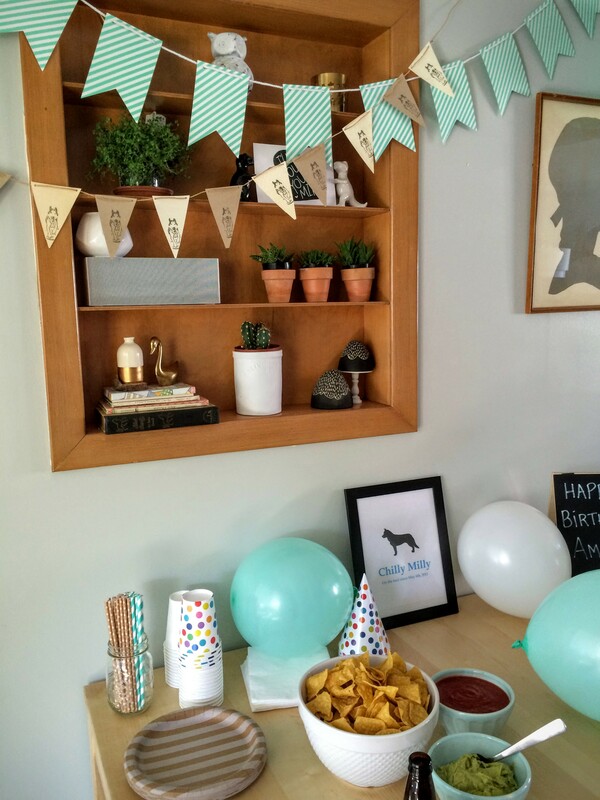 But truth be told, it wasn’t easy finding snow dog themed birthday items, but we made it work. 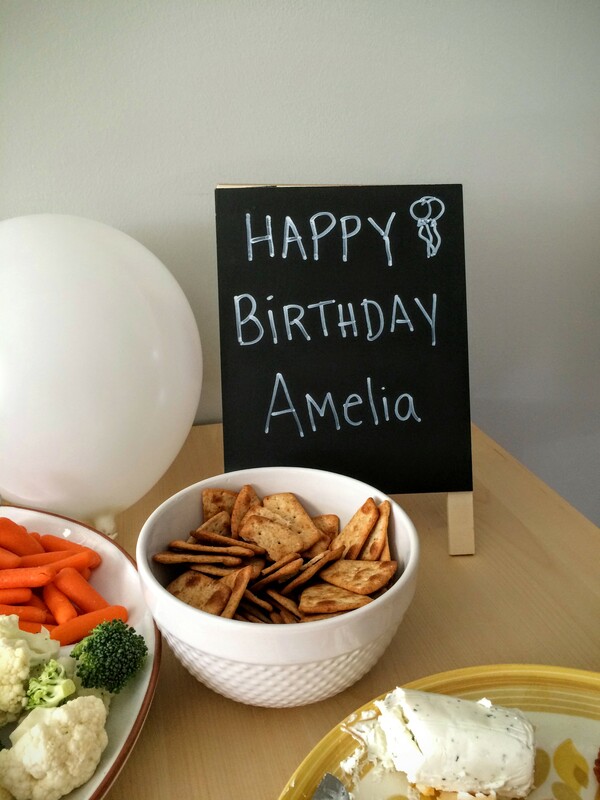 Take a look at Amelia’s 4th Birthday Party celebration. 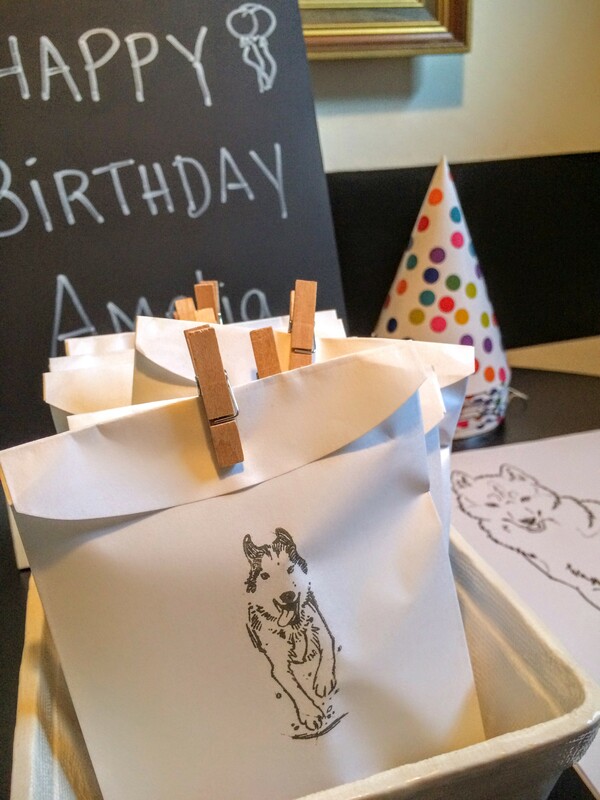 I hope this provided some inspiration for you if your little one is asking for a Snow Dog Birthday Themed Party. We made it as simple )and affordable) as possible this year. We offered our guests crock pot chicken tacos, chips, salsa, guacamole and both adult and kid beverages.Our cake was a standard chocolate cake from our local grocery store, which was a major hit (thank you Fred Meyer). Everyone seemed to leave happy and full, which always a sign of success for me when comes to a party. 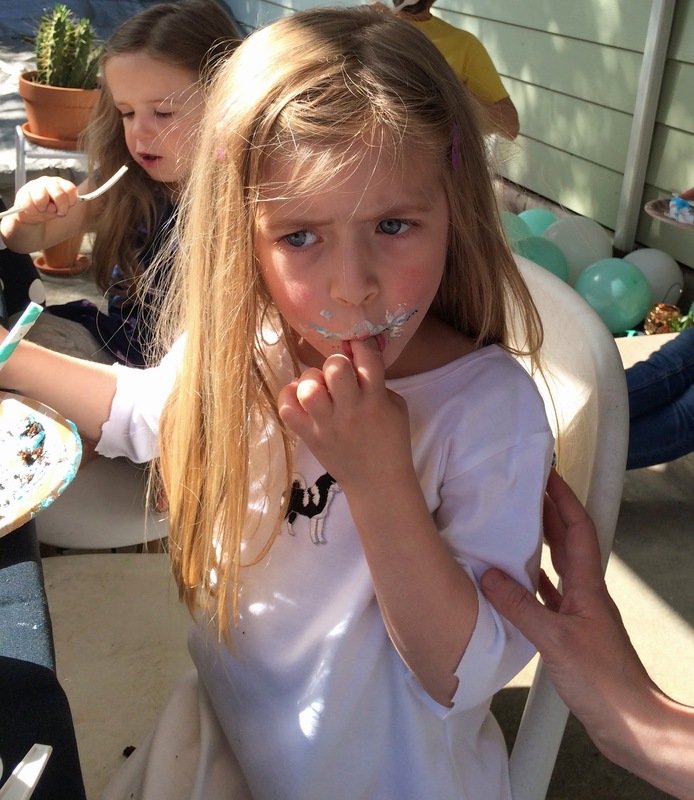 Let’s talk about the goods…we found the Husky Stamp, Iron on Snow Dog, Cotton Long Sleeve White Dress, and Arctic Animals for the cake all on Amazon. 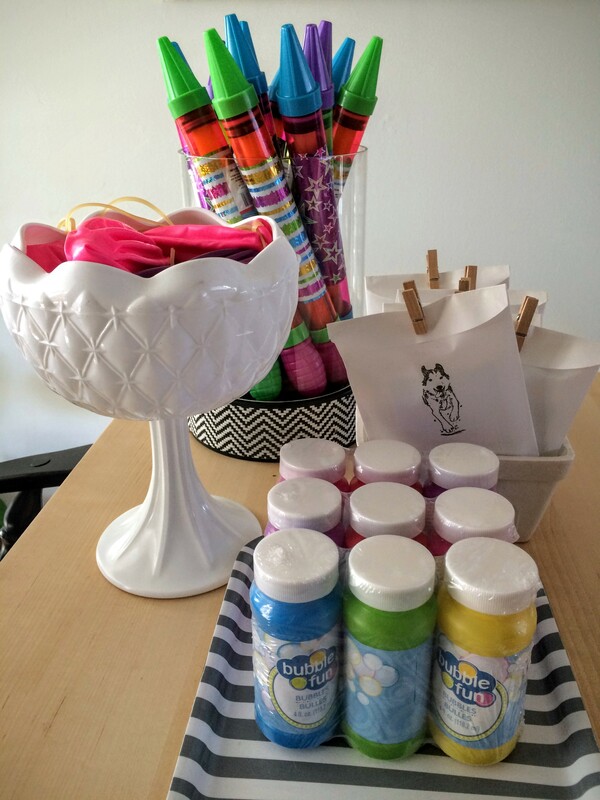 The Straws, Printed Dinner Plates, Polka Dot Party Hats, Blue Stripe Banner, Chalk board, Balloons and Take Home Bags were found at our local Portland Target. 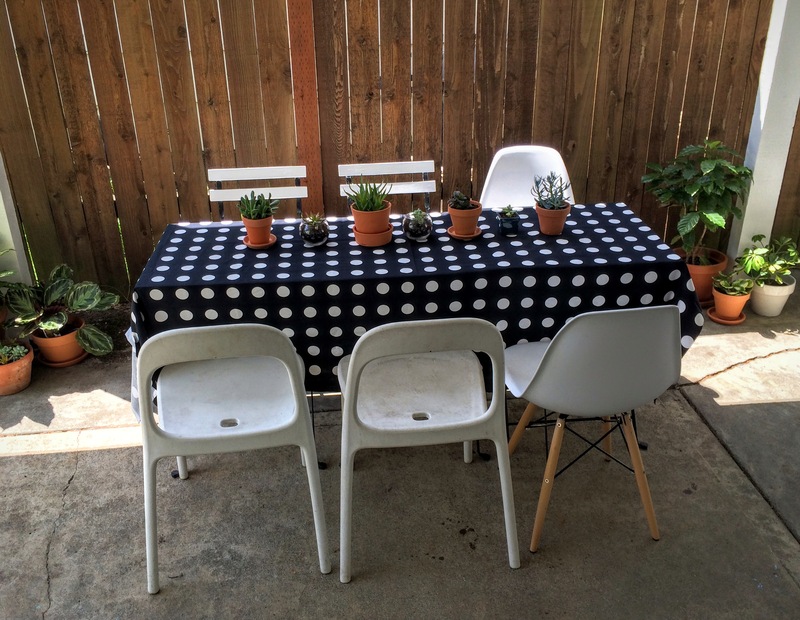 I am so thrilled to see so many of these items still available for purchase! 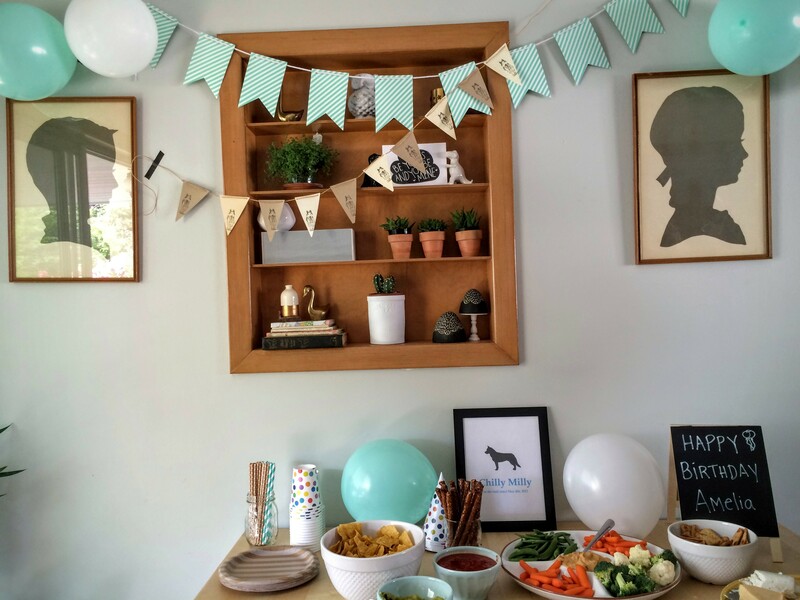 What have you guys done to make it work for your kids birthday when they ask for something a bit unconventional?